£10.75 each from BeautyBay or any Fudge Stockists. They say blondes have more fun, whether or not this is true is another matter but one thing that's not fun is brassy blonde hair! You may not set out to achieve this look but unfortunately it's one part of being blonde that happens to the best of us. Environmental factors such as pollution, nicotine and mineral deposits all contribute to our hair losing its freshness and vibrancy as well as developing the brassy/yellow tones that we all want to avoid (I've talked more in depth about this in this post ). An easy way to tackle this is with a silver shampoo. 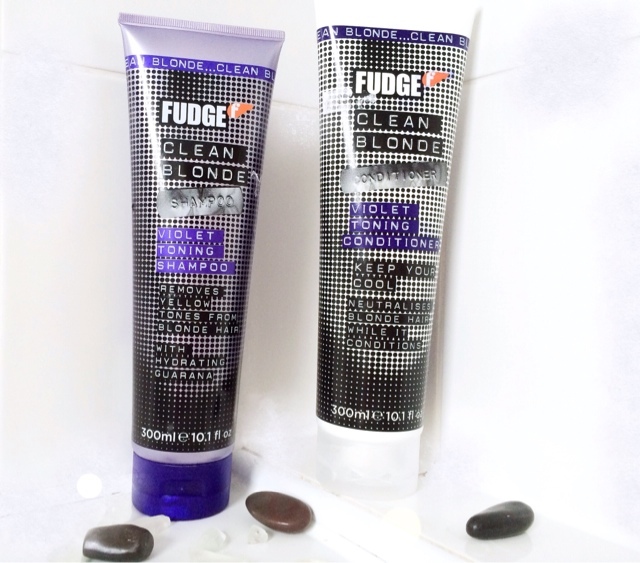 The one I've been using lately is the 'Clean Blonde' Violet Shampoo and Conditioner from Fudge. Like most silver shampoo's its purple in colour and this is to counteract the warm yellow/orange pigments in the hair. The shampoo is brilliant at neutralising these unwanted tones and if left on long enough can eradicate them completely. 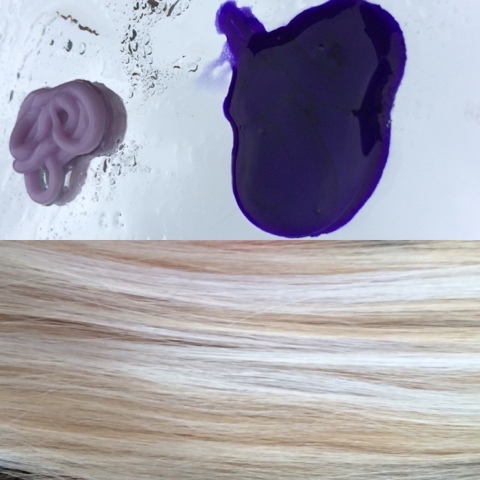 The conditioner, lilac in colour, is surprisingly nourishing and something I wasn't expecting from this type of product ( normally I find them to be quite drying). It left my hair soft and manageable, and feeling in tip top condition, a great addition alongside the shampoo in my opinion. I use this once every 1-2 weeks depending on the colour and condition of my hair at the time. The best results are achieved when you leave the shampoo on for a few minutes when washing. I recommend 3-5 minutes but you can leave it on longer if your hair is extremely brassy or you want a very ashy/cool toned blonde. Word of warning though, this is very potent and will turn your hair ashy/grey if left on too long and used too frequently ( perfect if that's the colour you want), so I think its best used only for a few minutes on the first wash just so you can judge how the colour will come out and how long you think you need to leave it on for to achieve your desired colour. You can see from the picture above the colour in which I achieved after leaving it on for 3 minutes (max). The highlighted hairs have turned a lovely cool ash blonde, almost white and I love the effect it achieved in such a short time and how easy it was to use. If you struggle with brassy tones in your hair, or have had a highlighting mishap where you haven't left the bleach on long enough I can definitely recommend these products to neutralise it.